Our expert designers have created the choice of 4 different unique bed leg styles to choose from. Carefully handcrafted for compatible beds, add your personalisation and dramatically change the style of your bed. Each one has distinctive characteristics and is available in all the same colours and woods we offer. 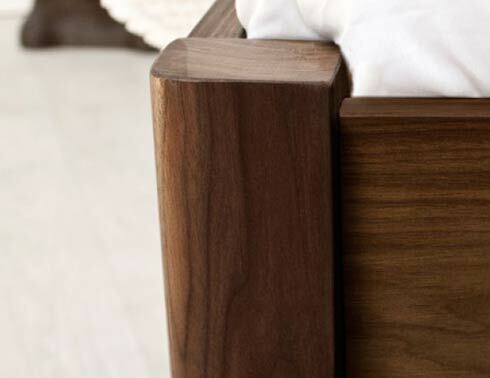 This style is the classic design that comes as standard with all our bed frames. The beautiful style features clean lines perfect for any bedroom setting. It’s the ideal choice for those looking to keep things simple and natural. 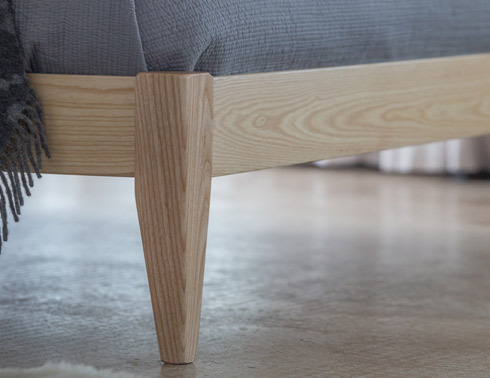 These legs feature a gentle curve on the outside corner for a smoother edge. This is a very popular choice and boasts many benefits including the aesthetics as well as practicality as you’re less likely catch your your toe. A recommended choice for beds in smaller rooms. 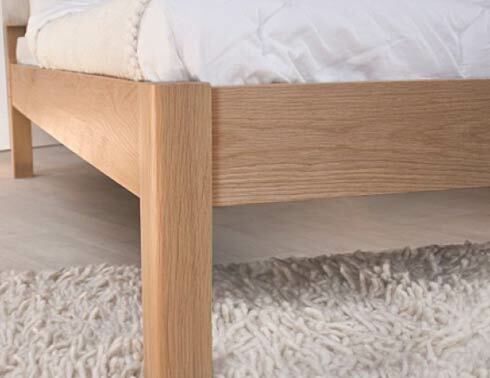 Featuring gentle, smooth curves, the turned leg option is a truly beautiful choice which complements any bed design. It will change the style, but the ornate beauty in the curves works in harmony with the modern clean lines of the accompanying bed design to offer a different aesthetic which may better suit certain bedrooms such as the chic rustic look. With their sharp angled stature, the tapered leg is the statement choice. 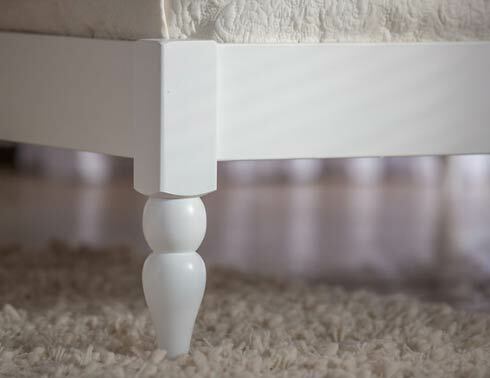 The “thinning” of the leg shape helps elevate the base and cuts the profile of the bed design in a more modern way. This is the favourite option for both Jonny & Jean, where the Kensington Bed (Tapered Option) is the perfect example of how the bed sits so attractively, which works so well in any modern bedroom design.